The sport of polo was introduced to the island by the British Calvary in the late 1800s, when the first Barbados Polo Club was founded at the Garrison Savannah in 1884. Although the Club closed during the Great Depression in 1929, it was re-opened in 1939 and moved to Holders Hill in 1965, due in large part to the generosity of the Kidd Family, active participants in the sport to this day. During the past few years the sport has gone through something of a revolution on the island, with several new facilities opening along the West Coast, including Clifton, Apes Hill Golf and Polo Club, Waterhall and Lion Castle. The development of these fields has provided the polo community with outstanding additional facilities for both local and visiting teams to participate in tournaments, as well as the opportunity to offer lessons to novices, increasing interest and participation in the sport. 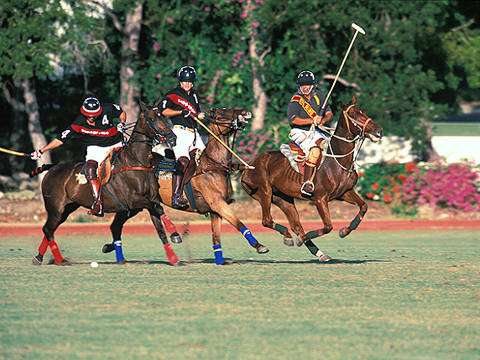 Today the polo season runs from December to May with 12 to 16 tournaments per year. Several foreign patrons and players make the annual pilgrimage to Barbados during the winter months, making Barbados a popular alternative winter polo destination.